This last week has been one of the hottest I can remember in recent years. It makes swimming in the ocean super enjoyable, but trying to stay cool in our apartment has been somewhat of a challenge. Without air conditioning, we've been doing everything we can think of just to stay cool. One of the best ways we've managed to beat the heat has been by drinking this refreshing, delicious drink. 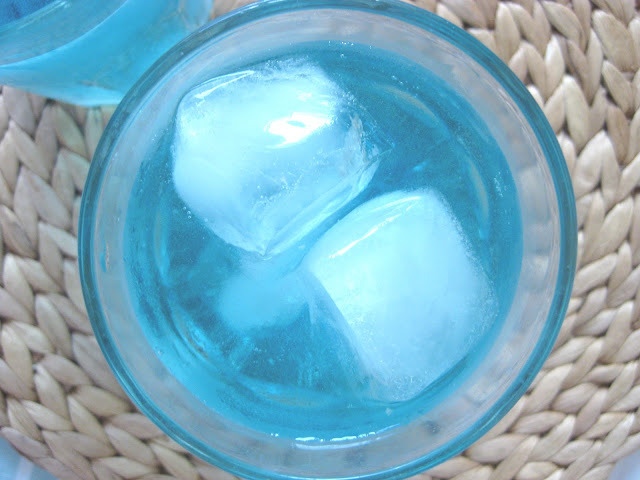 It's actually a copycat recipe of one of my favorite Sonic drinks. I made this for a nautical-themed baby shower I threw for a friend last weekend and it was a huge hit. Here's the recipe, which I quintupled for the party. Seriously though, you gotta try this. Combine water and sugar. Microwave for 30-45 seconds and stir to combine until sugar is fully dissolved. (Alternately, you may heat this on a stovetop to dissolve.) Allow to cool, then add food coloring and extract. Mix into lemon-lime soda and pour over ice. 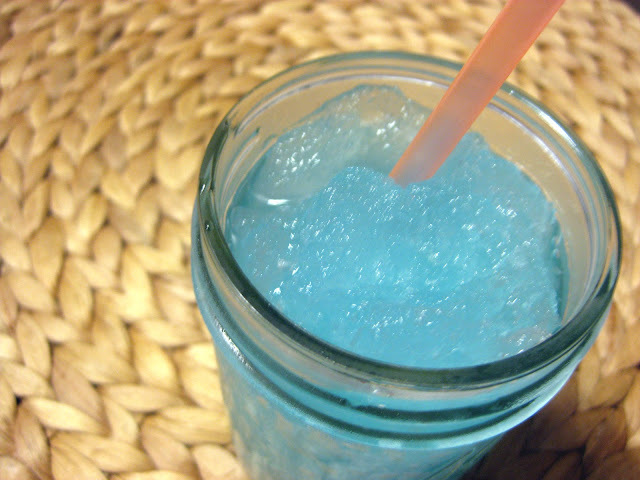 For an even more refreshing treat, turn your ocean water into a slushie! 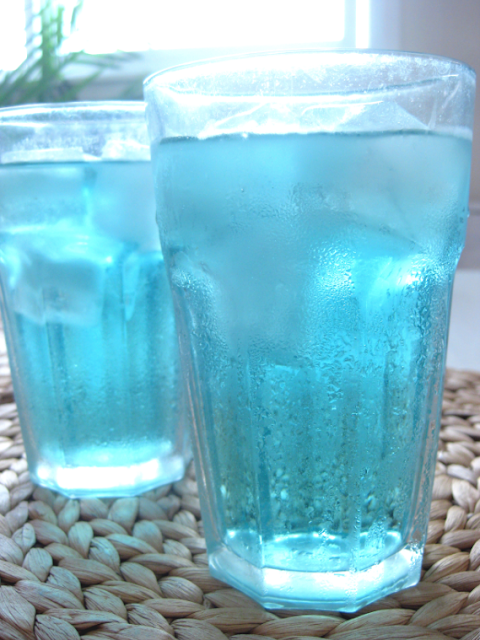 Pour ocean water in a plastic cup and place in the freezer for about 3 hours. Stir with a spoon to ensure an even texture and slurp away. Now that looks refreshing! :) I think I will try something like this soon! I would love to have one right now! Especially the slushie version! It's soooo hot outside and unfortantely inside as well. Ohhh such a cute idea. AND sounds refreshing. I love sonic- ocean water is so yummy! My mouth is watering. I need to try this! YUMM!! Thanks for sharing!! To keep your body healthy and clear of toxins, make certain you’re giving yourself a healthy dose of products which are recognized to help out the top honchos of the detox system, such as the liver and kidneys. Knowing some of these foods can definitely take you an extended ways with regards to whipping up a drink, smoothie, or plain old good meal visit their website.